The Theda table clock by Konstantin Slawinski is characterised by its minimalist design language, as well as its industrial charm. Its casing is made out of concrete and transitions from a harmonious curve to an edged base. While the material offers a rustic feel, the rounded pointers create a softer touch. The dial is completely free from unnecessary details, designed without numbers and markings. Only the strong colours from the dial make it stand out from the concrete exterior, creating a striking contrast to the cool material. 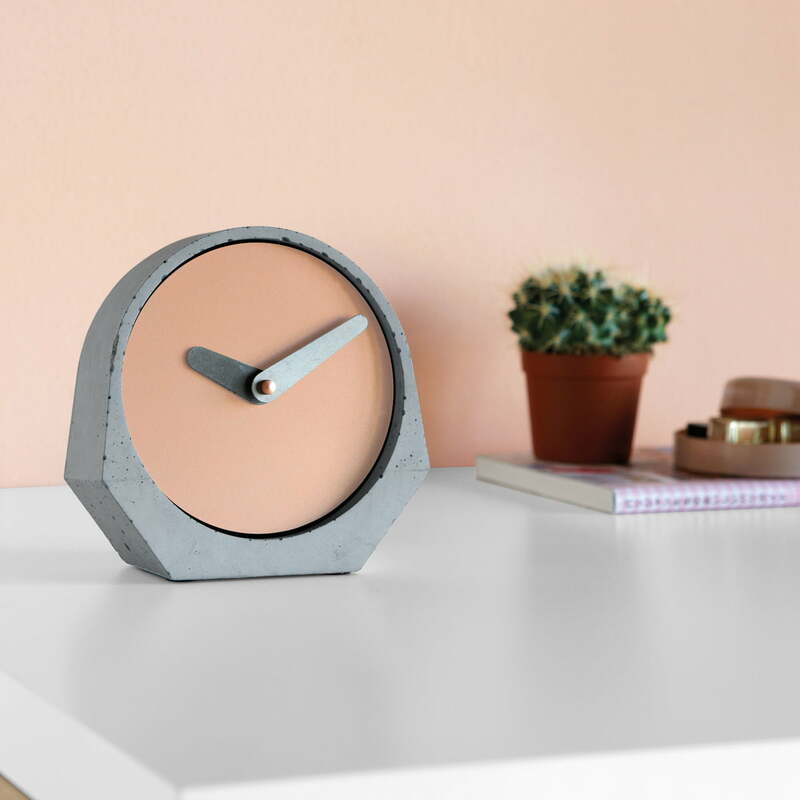 In spite of the simple design, the Theda clock is stylish in any environment thanks to its colour and material composition, whether on the bedside table, the sideboard, or the desktop. The clock is available in various colours. Isolated product image of the Theda Table Clock in beige red by Konstantin Slawinski. 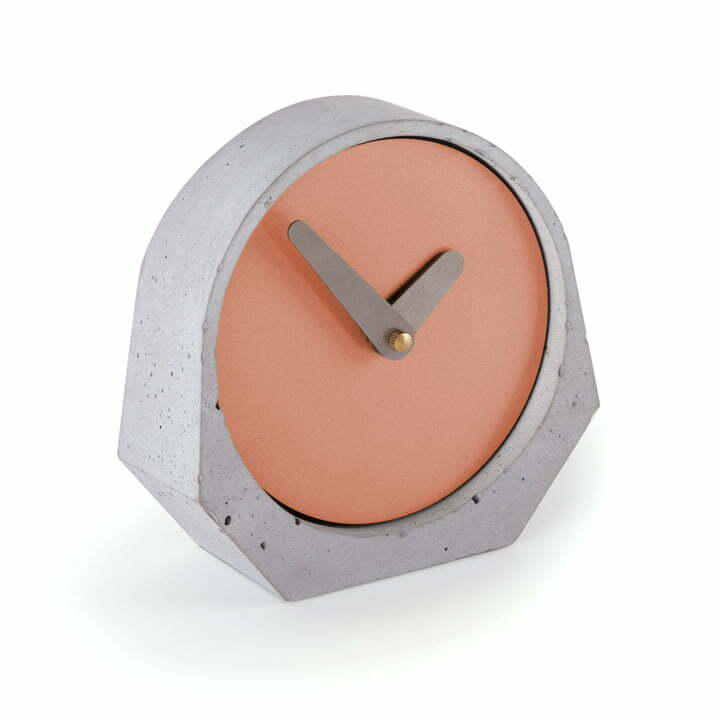 The housing made of concrete clock provides for Theda’s industrial charm. Lifestyle product image of the Konstantin Slawinski - Theda table clock in pearl gold Whether in a modern or rustic environment: the Theda clock fits into any interior. 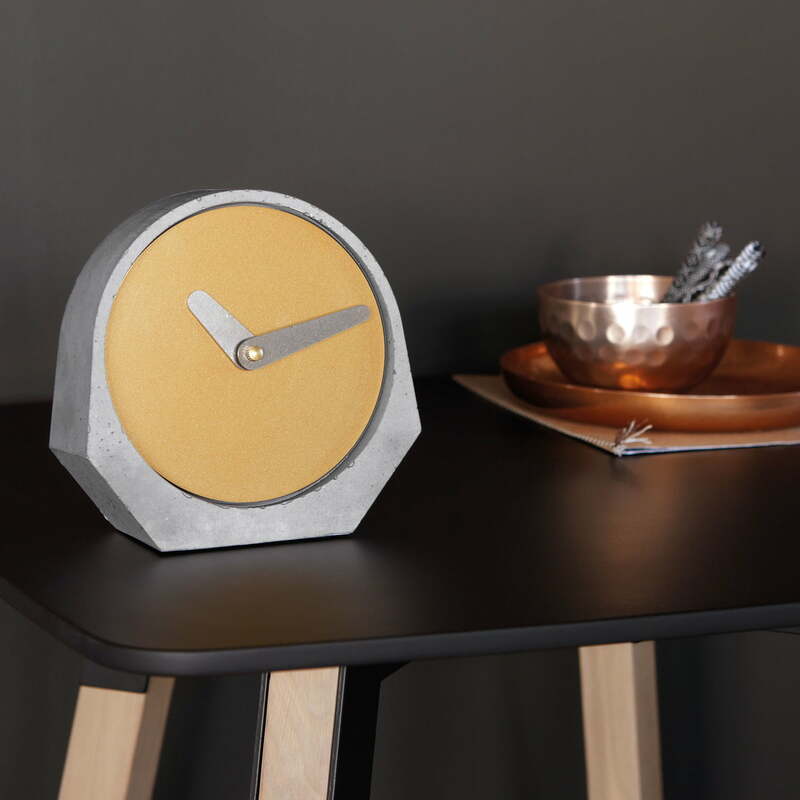 Lifestyle product image of the Konstantin Slawinski - Theda table clock in beige red. The colour of the dial can be combined wonderfully with similarly coloured accessories.